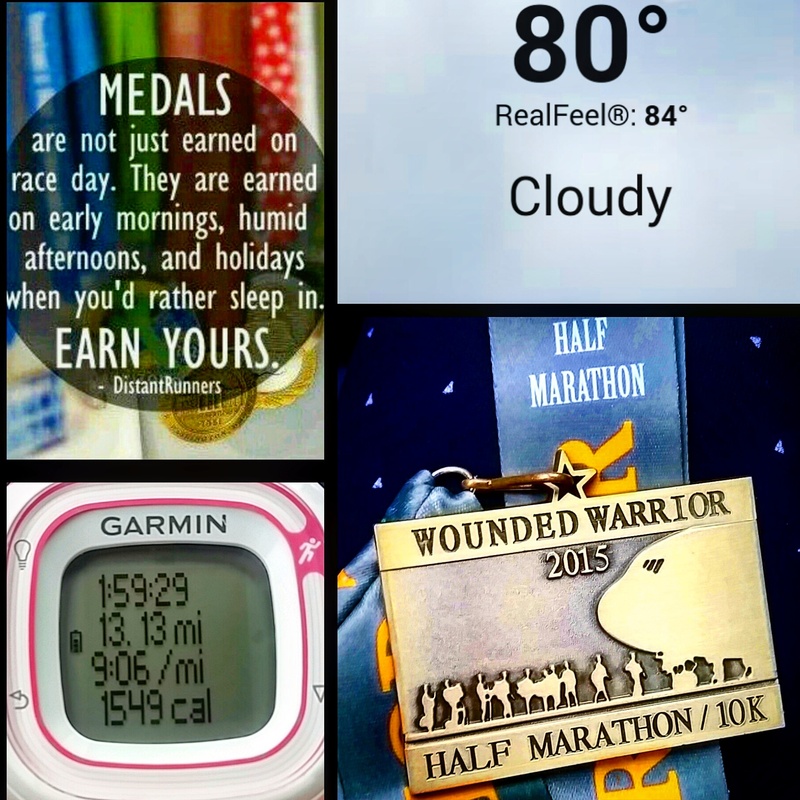 Wounded Warrior Half Marathon and Wknd Recap. Well hey there! How was your weekend? I am just sitting here sipping on some iced coffee after teaching cycle and strength this morning. This week is going to call for some seriously strong java. Let’s recap a little bit of the weekend, shall we? 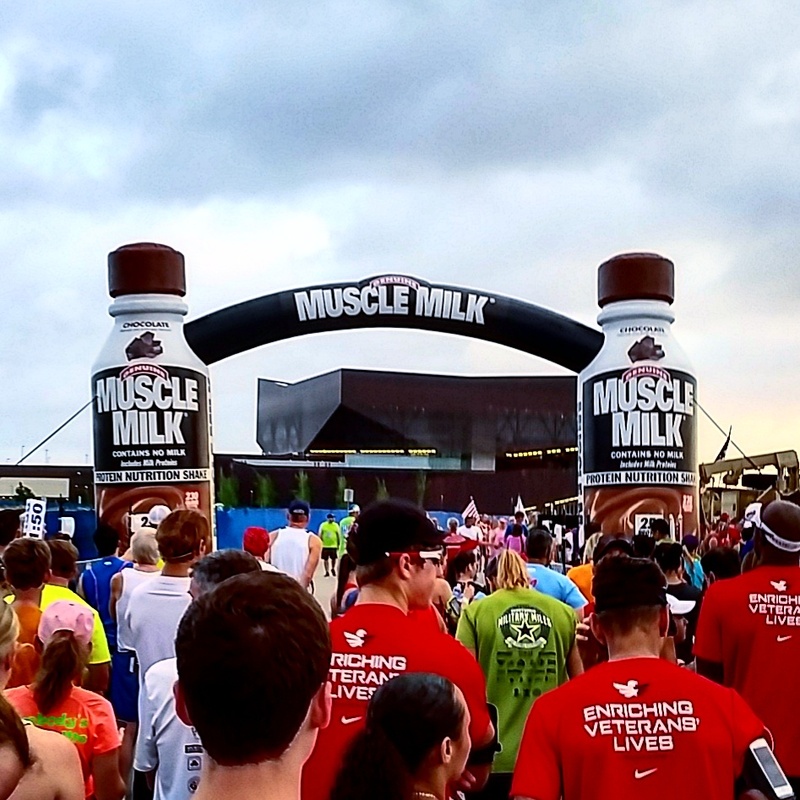 I ran the Wounded Warrior Half Marathon out in Las Colinas…right in my backyard. The conditions were quite tough with the heat and 90 percent humidity! But I made it, yo. 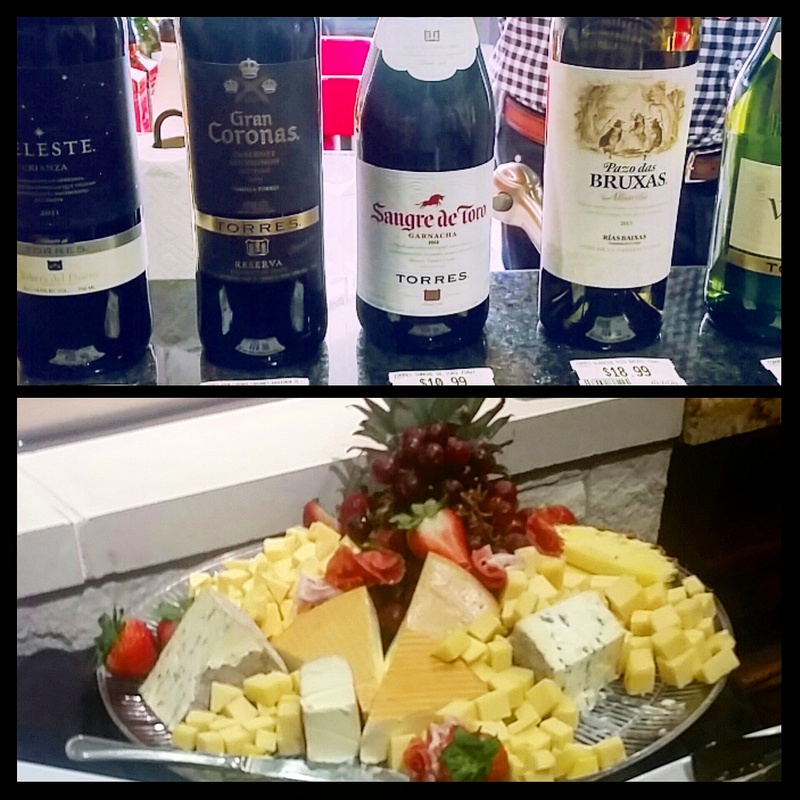 Backtracking to Friday night…I went to a vino and cheese tasting with friends. There was a nice little spread and reds and whites to try. The garnacha blend was my favorite. 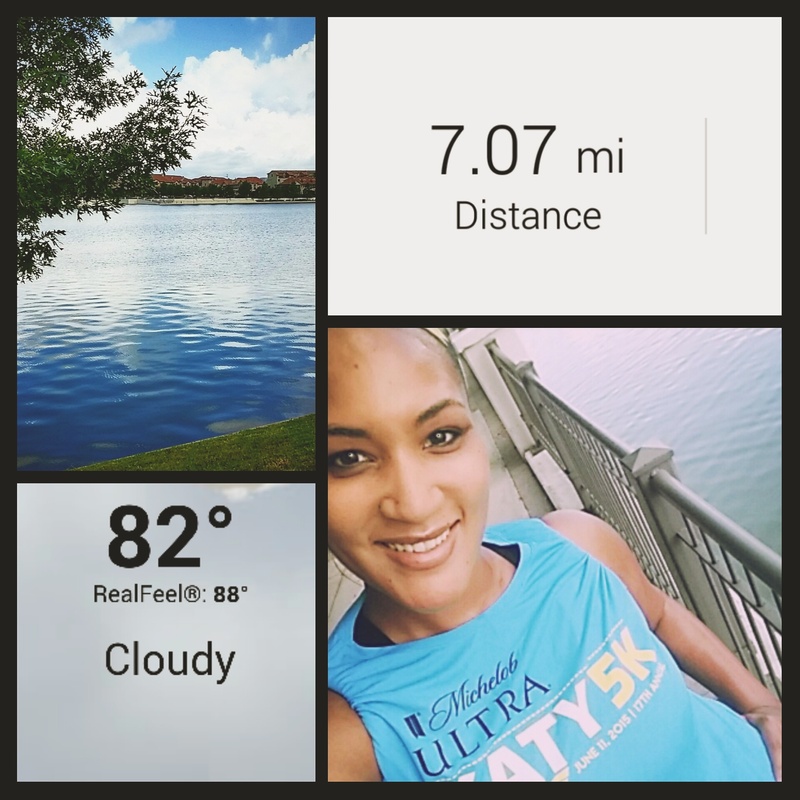 The next day I wanted to get out and get some fresh air before the day got too warm so I was up for 7 easy breezy miles along the lake. Just to get my legs revved up for Sunday’s race. Honestly I hadn’t done much tapering for this one and didn’t really care to since I knew the temps would be so warm, humid and not quite PR worthy. Just running for fun and hanging out with friends. Sunday morning was the race! We started bright and early at 7 am and temps were already close to 80 degrees with humidity that made it feel even warmer. I did a little warm up to get to the start line and I was already super sweaty before the gun went off! I ran into my buddy Mark who was the 1:50 pacer. He races pretty much every weekend too. Such a rockstar. This race supports the Wounded Warrior Project so there were lots of Marines and members of the military in attendance which I thought was cool. They did a little tribute and then we were off. The half course was originally set to hit the Campion Trail Park but since we have had so much rain that whole area was still flooded. So we had to do 2 full loops of the somewhat hilly 10k course plus another out and back. The good thing about this though was that we hit the hydration stations a total of 14 times!! Definitely much needed with the heat and running with the sun pounding our faces. I tried to maintain a solid pace all throughout but slowed down towards the end as it got warmer. It was at this point I was more than sure I would come in well over the 2 hour mark. Typically too as it gets warmer my pace tends to slow a bit so I wasn’t too worried about that part. I just tried to keep pushing and looked at my watch and reasoned with myself that probably anything just under 2:10 I would be happy with. Besides…I was just running for fun and had not tapered at all for this one! Once I hit mile 12 I was just around the 1:51 mark. I was surprised to see I had picked up the pace just a little bit! It was at this point I was feeling pretty good about coming in right around 2 hours. My last mile clocked in around an 8:26 pace and I actually finished UNDER 2! I tell ya, it felt awesome to finish sub 2 in those crazy conditions. Well deserved medal. 13.1 number 22 is done. Finished 14th out of 131 gals in my age group. Stay tuned! There are a few more hot races to come. And then of course an awesome summer marathon training season leading up to Rock n Roll Las Vegas. Then…my first shot at The Texas Double in December to end 2015 on a high note. Don’t believe me, just watch! How was your weekend? Did you run a HOT summer race?! 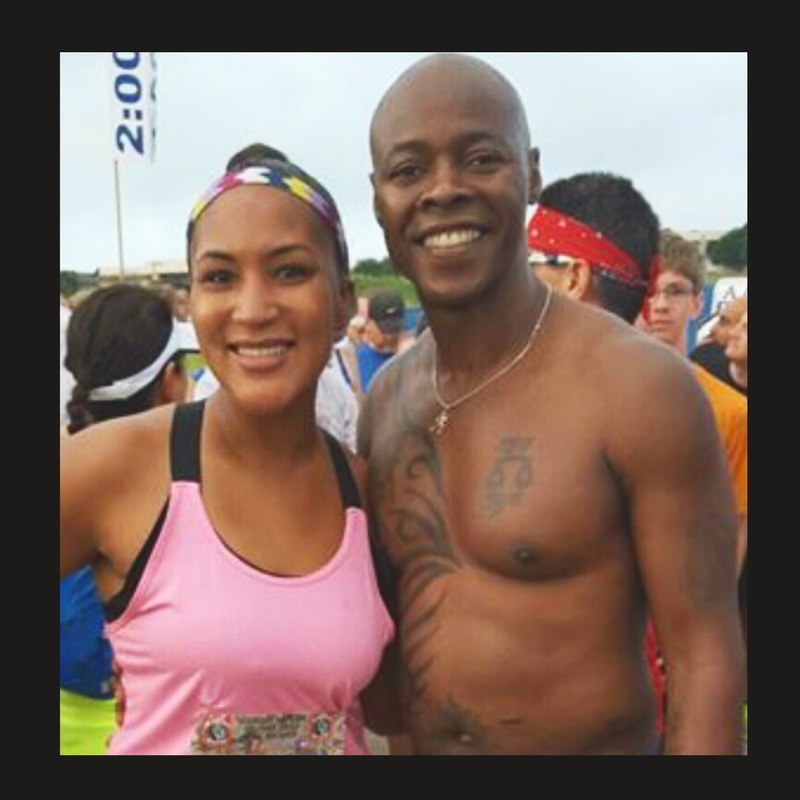 This entry was posted in Coffee, Fitness, Fun, Half Marathons, Race Recaps, Running, Weekend, Wine by thedancingrunner. Bookmark the permalink. Great job!!! And a great cause! Another weekend, another race. I’m not surprised. You are amazing. Great cause!!! Love it. Definitely a worthy cause! Thx Rachel!! Wow. You’re a running rockstar! Thanks…I just do what I love!! Awesome running! I am seriously so impressed that you can run so fast in such warm conditions. In awe, even. 🙂 Glad you had a good race! Keep rockin’ it, friend! Thanks Beth! Congrats on running Ragnar!! Looked so fun! Girrrrl you guys have some amazing weather up there! I so miss being there…need to get back before the year is up to visit my fam!